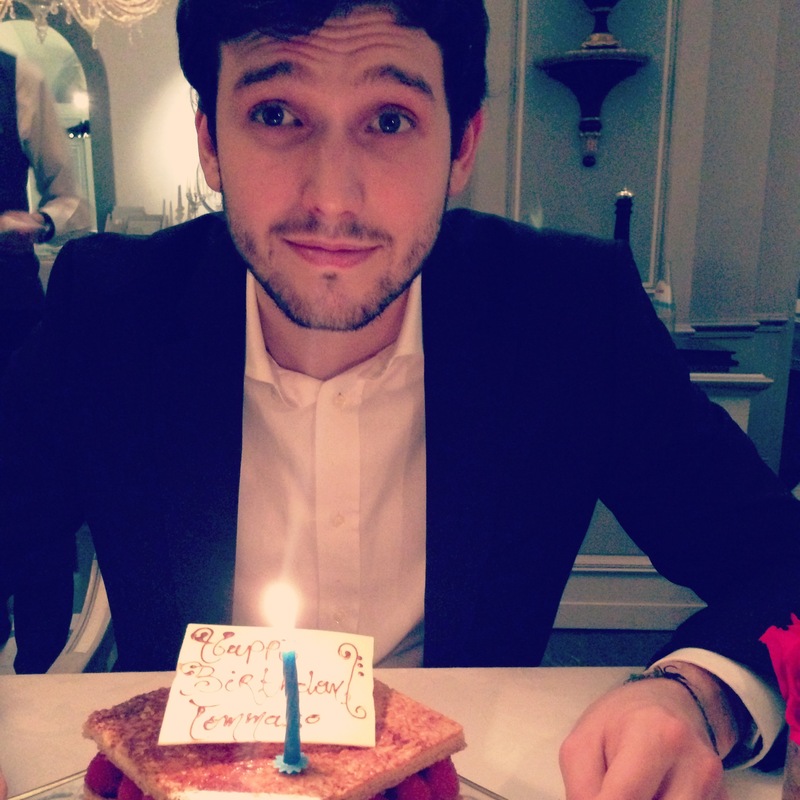 Well, after ringing in 2014 in Amsterdam it was time for Tommaso’s birthday! In 2013 I took him to Il Convivio Troiani in Rome. 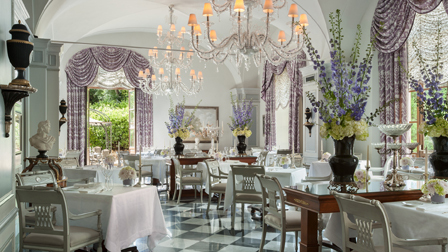 Since we were both back in Florence for school I decided to plan a dinner at Il Palagio, a one Michelin star restaurant located in the Four Seasons Hotel. 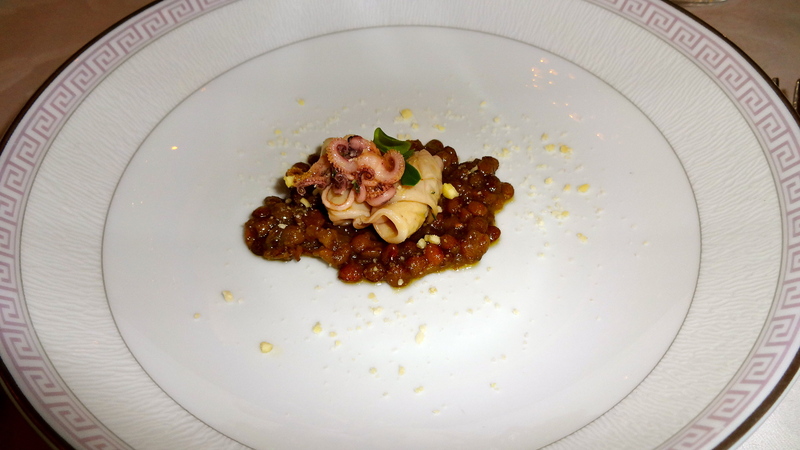 Second Amuse Bouche: Calamari with Lentils. Langoustine with Lardo and Cauliflower Cream (8.5/10). 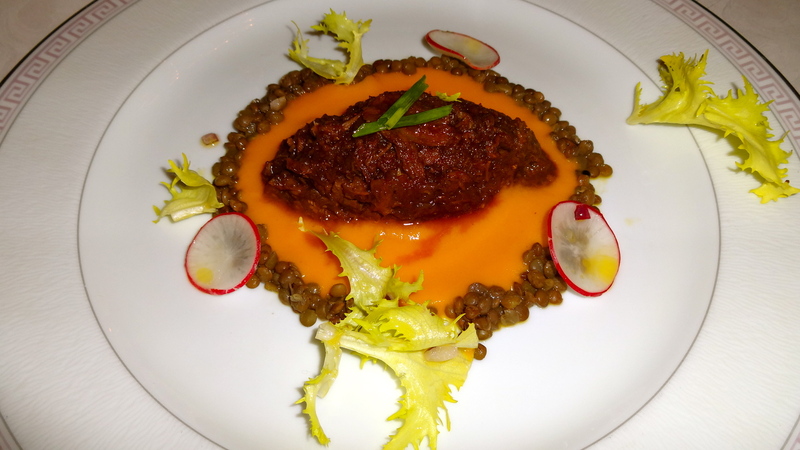 Braised Beef with Carrot Cream and Lentils (8/10). 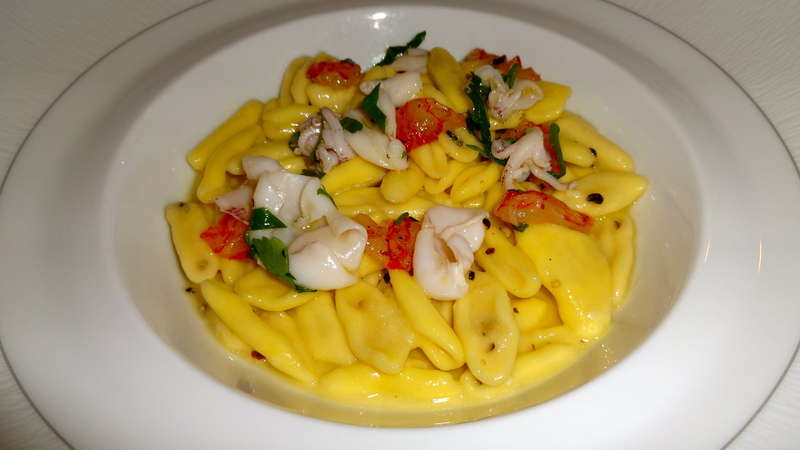 Cavatelli “Cacio e Pepe” with Marinated Red Prawns and Baby Squid (7.5/10). 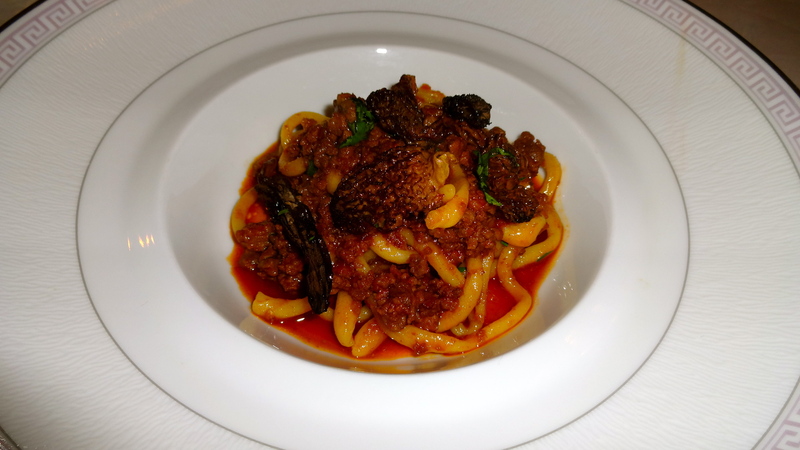 Pici with Morel Mushrooms (6/10). Venison with Chestnut Cream and Savoy Cabbage (7.5/10). The Birthday Boy, How Cute is He? First of all, the dining room of Il Palagio is absolutely gorgeous! Enjoying dinner in this beautiful atmosphere only made our experience here that much better. 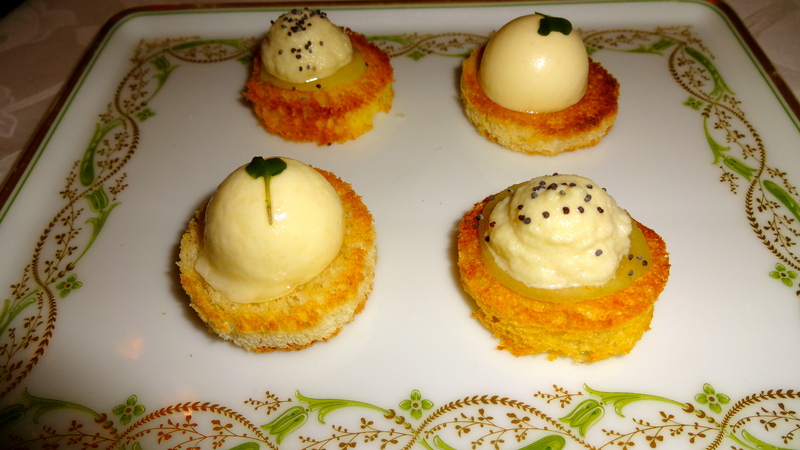 The food of course was also delicious and refined. My favorite dishes included the langoustine and the venison. 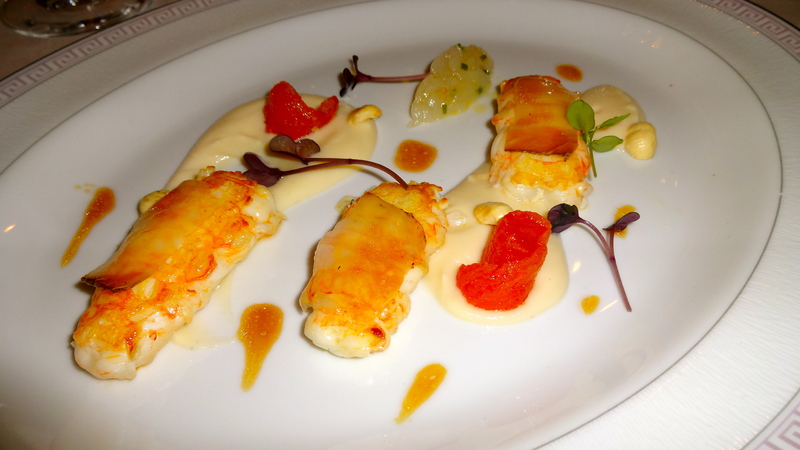 The sweet langoustine with fatty lardo paired excellently with the cauliflower cream. 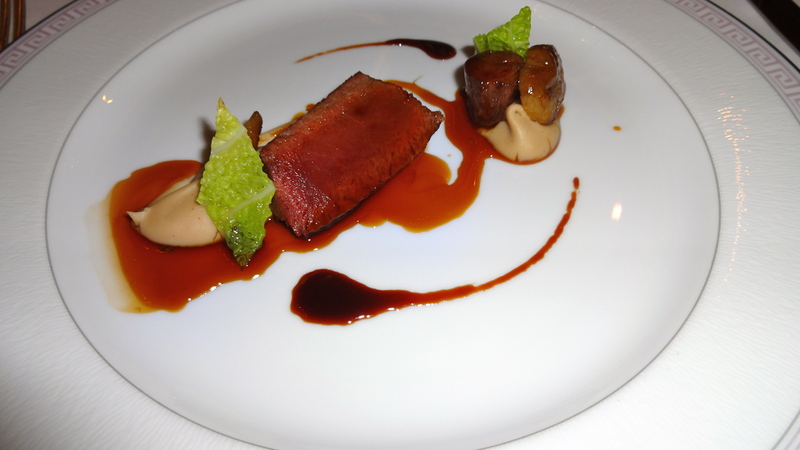 The venison was cooked to perfection and melted in your mouth with the earthy chestnuts. My overall rating for the restaurant is a 7.5/10. Il Palagio is the place to dine at to feel and be treated like a king or queen!